Upper Mustang Trekking is well known everywhere in the nation, but the Inner Upper Mustang trip is totally different than other wilderness treks. This trek is really amazing but little challenging to discover the mysterious Buddhist Kingdom of Upper Mustang. Mustang is one of Nepal’s greatest diverse and spectacularly beautiful regions. This area is very famous to wilderness trekking and discovers its different sky caves and their mysteries of Tibetan culture and traditions in a land of Nepal. This secret place is located in the rain shadow of the Annapurna and Dhaulagiri range, it is forbidden to explorers until 1992. There are only some places opens for its access to a small number of visitors moved by the discovery of the incredible kingdom of Lo. This place still considered into a restricted area only can enter a limited number of visitors and it’s possible to hide the secrets of a large number of caves dispersed carefully its red cliffs. The trekking offers you carved valleys and imaginary rock creations, whitewashed traditional Tibetan style villages, old royal palaces, Tibetan Buddhist encouraged monasteries, unmapped cave centers, crumbling fortresses, universal chortens, and snow-capped peaks are the really exceptional features of this region. Upper Mustang has so many beautiful places to visit, but Lo Manthang, the capital of Mustang is a starkly awesome region, residence to Tibetan Buddhism as well as the leftovers of the more spiritual Bon religion which predates Buddhism is home to the ethnic Loba people and it an enclosed city is measured by several specialists to be the greatest conserved medieval palace in the world, a nominee to develop a UNESCO World Heritage Site. Our Inner Upper Mustang Trekking is a pass along some of the smallest well-known routes to the other secluded villages in this sun-soaked region, habitually following the rocky Kali Gandaki river- divan, other times trekking on enormous trails high overhead it and downhill through spectacular carved and multi-hued canyons. This is the land of the last wanderers of Mustang still living their old-stylemigrant lifestyle of the high uplands neighboring Tibet. On this trip, we would visit some of the interesting places, but quite a far-flung village of Upper Mustang such as Samson, Tanga, Yara, and Ghara. During the trip, we can taste a mountain salt- butter tea and exchanging for locally woven materials with the villagers, having coffee and conversation with local people and Mayer. This time, we also discover numerous caves like TashiKabum, KonchokLing, Choser and Chungsi Caves are makes trek very wonderful and attractive. There are so many old and ancient Buddhist monasteries such as LuriGompa, NamgyalGompa, GharGompa, Garphu and NiphuGompa and many others. 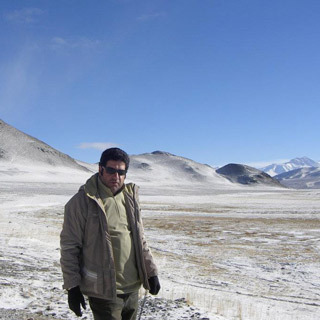 Inner Upper Mustang trekking is a long trip, non- tourist path trek. This trek would be led by an experienced guide and local staffs. On this trip, we explore the ancient Tibetan Buddhist culture, different natural caves, and unexplored part of Upper Mustang. There are a few guesthouses and tea house facilities, therefore we provide you with all tended accommodation and your meals prepared by the expert cook, kitchen team during the trek. For this trip, at least two people recommended in a group and you need special permission through an authorized trekking agency to enter this restricted area. The best time to visit from June to October is most recommended, that time there is no monsoon rain and it’s a rain shadow of the Himalayan region. You can also visit in August, the attractive panorama of blossoming buckwheat field will treasure you. The travelers looking for a shorter culture trip to Upper Mustang then our 17-day itinerary trek would be suitable for those people. It is a fully customized trekking package, where all our packages come with fixed departure. The 24 days Inner Upper Mustang Trekking will begin in the morning with a short scenic flight around the thirty-five-minute flight from Pokhara to Jomsom. After Jomsom, we will walk to Kagbeni and will continue trek to Inner Mustang through the different untouched path. Nepal Glacier Treks have set Inner Mustang Trekking for real adventure lover. Let’s join with our very popular Inner Upper Mustang Trekking package and get great Himalayan experience. This trekking is truly wonderful and magical and a lifetime experience. NOTE: Please note down some important things about the program; if you land at Tribhuvan International Airport (TIA) in Kathmandu after 4 pm you would be informed by our airport representative about tomorrow’s (second day) Kathmandu valley sightseeing programs on the way to the hotel and then pre-trip meeting would begin before the sightseeing tour next day. However, if you landing very earlier than 3 pm then your pre-trip meeting would be starting on that same day either at your hotel or our office in Thamel as per your choice. During your pre-trip meeting, we will introduce you to your trek leader/guide. Please get this opportunity to ask questions about your trek, tour and important things. In the meeting, please make sure you bring passports, three copies of passport-size photos, and a readable copy of your travel insurance paper. During this meeting and please clear the due balance, if some and sign the rightfully required trip procedures as well as the nation- problem repudiation. Overnight at the hotel. 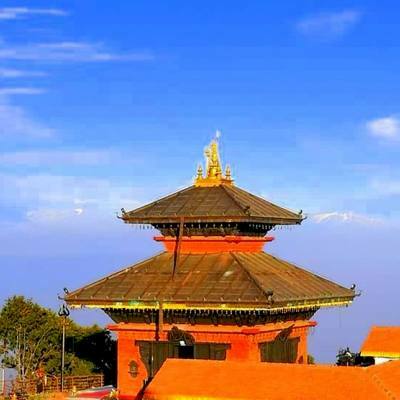 Kathmandu valley tour with professional guide by private tourist vehicle. Ground transfer from and to Kathmandu (Kathmandu- Pokhara- Kathmandu) by private tourist vehicle. We provide Breakfast, Lunch and dinner during the trek, which is prepared by our kitchen team and expert camping cook. Nepal entry visa; you can get a visa easily upon your arrival at Tribhuvan International Airport (TIA) in Kathmandu. (Tourist visa can be obtained by paying US$25 or equal foreign currency for 15 days, similarly US$40 or equal foreign currency for 30 days and US$100 or equal foreign currency for 90 days. Do not forget to bring two copies of passport size photograph. Day 06Trek to Tetang (3040m) via Gyu La (4077m) 7 hour walk We heading towards the main village route via Gyu La that looks magnificently beautiful in the sunny morning with waving prayer flags. The trek goes down to a bridge over the crossing river and start ascending steadily up near the pass. After walking about two hour, we get flat pass and will take rest, lunch and one can see incredible Himalayan views and its marks the boundary between the Upper Mustang and Annapurna. From there, we move downhill into a green cropping valley and continues walking with passes steeply sandy trail, stream, and open canyons and then gradually ups and downs we reach Tetang where can see colorful Chortens, terraced fields, ancient TetangDzong, beautiful Mani walls, the warren of Tetang villages.Tetang offers you continuously attractive fortified village with gigantic houses pock- marked with old scaffold holes. The remains of an older, collapsing dzong stand awesomely on anedge at the north end of the village with living several families in this area. There is broad number of caves in the enormous rock face through the Kali Gandaki. Overnight at a tented camp. Day 09Trek to Dhey (3920m) 6 hour walk We moves northwest leaving Tanngge in the morning, we ascent smoothly out of the beautiful village and further walk on a rolling trail through a wonderful moonscape, colored by yellowish-brown, windswept rocks which have been carved by periods of water and wind corrosion. We ascending gradually until reach a small pass, it called Serthang La (4240m) where Lord Vishnu and local gods is can see in the trip and decorated by a marker of Saligrams. A short downhill walk with another little of twistedcountryside, historical tricolored chortens, which go towards the inaccessible village of Dhey, is one of the most remote in the Himalaya. We can explore old gompa, friendly villegers and beautiful old villages and welcoming as travelers are scare here. Overnight at a tended camp. Day 17Lo Manthang We take a rest in the Lo- Manthang, is the capital of Mustang district was recognized by King Ame Pal. The local people call their King Lo Gyelbu and respect as well as love the King while he plays only traditional role these days. The King was devoted horseman and preserves his own unchanging of horses, particular of the top in Mustang. There are can see only 108 houses with narrow streets and some of the biggest and handpicked Tibetan Buddhist Gompa in Nepal. The valley is pretty successful due largely to its previous salt and wool profession beside the Kali Gandaki with Tibet. The area is surrounded by Lobs population and Tibetan style houses, only possible to entrance by king, queen and Kempo (abbot). Otherwise, we must pay to their respected for Chenrizing, the Buddha of sympathy. There arearound 1100 Lobas people within the town whereas many lower caste Lobas live outdoor the valley. Most of the Lobas people still preparation polyandry. Day 20Trek to Tangbe (3060m) 6- 7 hour walk This morning we climb slowly alongside the dusty small road to grasp the Syangboche La at 3850 meter above. On the top will enjoy with fantastic Himalayan view including Annapurna|, Nilgiri and North Tibet boeder. The trail will go down to small Syangboche village from the ridge and trek route direction goes to the left side and on the eastern trail goes to Samar via the most important Chungsi cave at 3425 meter above. On this day, we can see many nests of Himalayan Griffins, majestic birds circling and other dramatic unexplored areas. Around 1 hour walking will reach to the Chungsi cave is one of the universal Guru Rimporche’s meditation cave. There are stone steep to enter, inside are very unique self- created Buddhist carved Chortens and other Buddhist ruins. Day 22Flight back to Pokhara from Jomsom Today, early in the morning we take 30 minutes morning flight from Jomsom back to Pokhara. After arriving in Pokhara airport, we drive to hotel by private vehicle. Taking some rest in hotel and in the afternoon we start sightseeing tour around pokhara valley, including Gupteshwor cave, Devi’s fall, Phewa lake, Gorkha museum, Tibetan refuse settlement area and other popular area. Overnight stay at hotel in Pokhara. Day 23Drive to Kathmandu from Pokhara On this day, you will be back to Kathmandu from Pokhara by scenery drive. 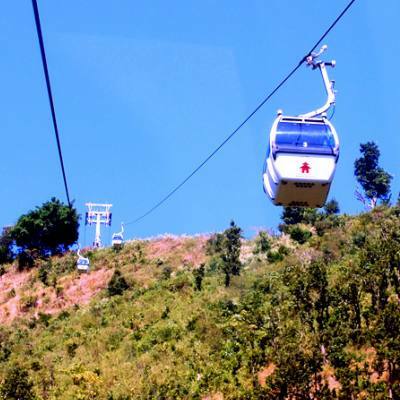 It takes around six and seven hour from the Pokhara city. After arriving in Kathmandu, you will transfer to your respected hotel, refreshed and take some rest and in the evening time you can buy some souvenirs and gifts to your family, relatives, and friends and loved one back home and enjoy farewell dinner with local food and cultural show then have a pleasant stay overnight at hotel in Kathmandu. Sometimes, flights can be cancelled due to numerous of issues such as mountain weather, and additional technical problems. That time, Nepal Glacier Treks organize another existing road shipping to ensure you are on timetable for your international flight.